a store that i sourced a lot of my wardrobe from starts selling the book i co-wrote. 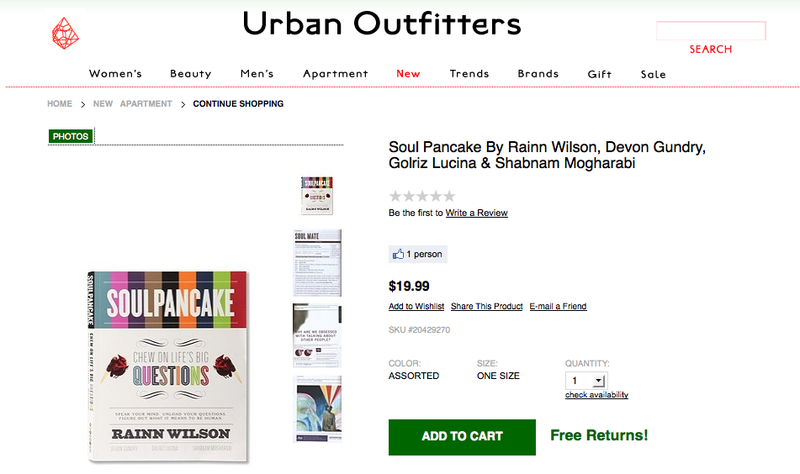 it also speaks to the power of intention, because from day 1, dev, shabs and i wanted the soulpancake book to be sold in urban outfitters. we ended up putting this wish on the back burner because we were told that special markets (boutiques, indie bookstores and clothing stores like UO and Anthropologie) don’t carry books until they’ve ‘established’ themselves in the market. but here it is. on sale. hellz yes. i only wish this meant i could get a store discount.